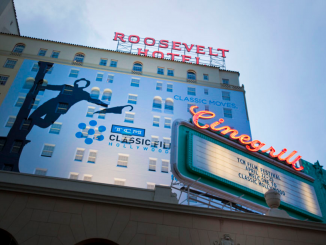 There are countless reasons to rejoice in the TCM Classic Film Festival, held every year in Hollywood. And this past April was no exception. Beyond the many cinematic pleasures, well-known and obscure that screen side-by-side, and frustratingly, more often than not, concurrently, there are always a number of world premieres that give the audience, no matter what their expectations, much more than they bargained for. One such premiere for 2017 was Dawson City: Frozen Time, the painstakingly researched and curated documentary that tells the story of a Canadian settlement just south of the Arctic Circle where a construction crew accidentally stumbled across a treasure trove of lost silent prints. The find is a modern miracle for archivists — but the film itself is something of a rare and unconventional project; more a divine melding of non-fiction and art than a standard documentary. Beyond the story, Dawson City is a tone poem that offers up the beating heart of a Phoenix-like creature, long buried, now celebrating a return to life. 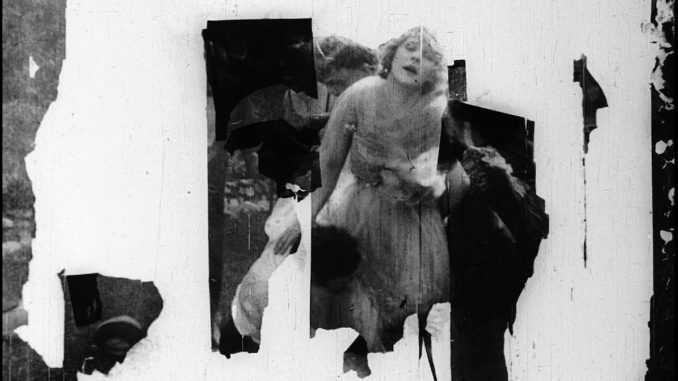 For those familiar with filmmaker Bill Morrison‘s previous work, the visual and auditory design of Dawson City will not come as a surprise, but where he has excelled in past projects of using decomposing found footage to create all new stories and critiques of society (see Decasia (2002) the first film of the 21st Century to be admitted to the National Registry), his latest work is positively inspired. 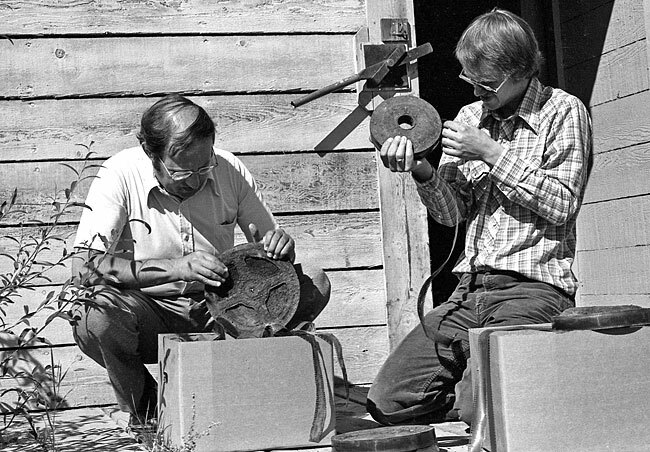 Sam Kula, left, director of the National Film Archives and Michael Gates, curator of collections for Parks Canada in Dawson City, examine the discovered reels in 1978. After a preface that describes how a construction dig in 1978 revealed some 1500 reels of nitrate buried 50 years earlier under the town’s swimming pool, Dawson City becomes impressionist performance art that plunges the audience into the past. And since that find, archivists have raced against the clock, as time is their greatest impediment to keeping this footage alive. First the facts: the town was founded in 1897 after a survey concluded there was gold, which of course led to the first great Gold Rush. 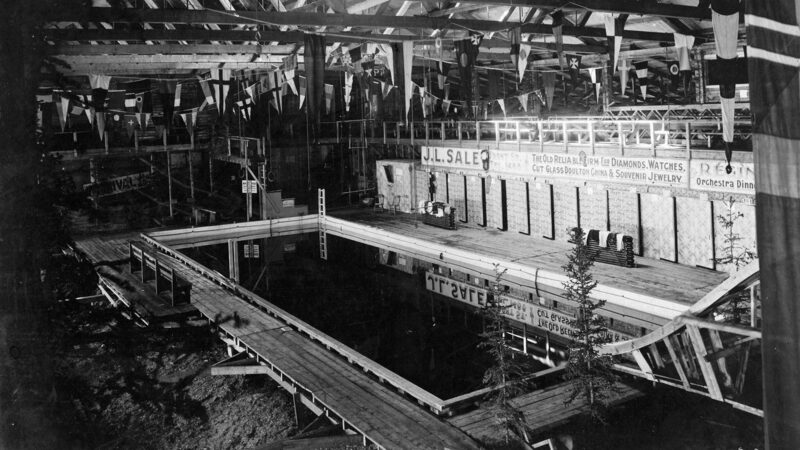 Immediately following, Dawson City saw an explosion of every type of prospector, from seasoned veterans to foolish dilettantes, descending on the small Canadian territory. With this influx came the usual opportunists, from Land Barons to prostitutes and liquor distributors, and as soon as tents could be assembled, a thriving industry emerged. But Dawson City was a lone northern outpost, and the laborers and their families, as well as the wealthy city “fathers” were starved for any diversion and entertainment. 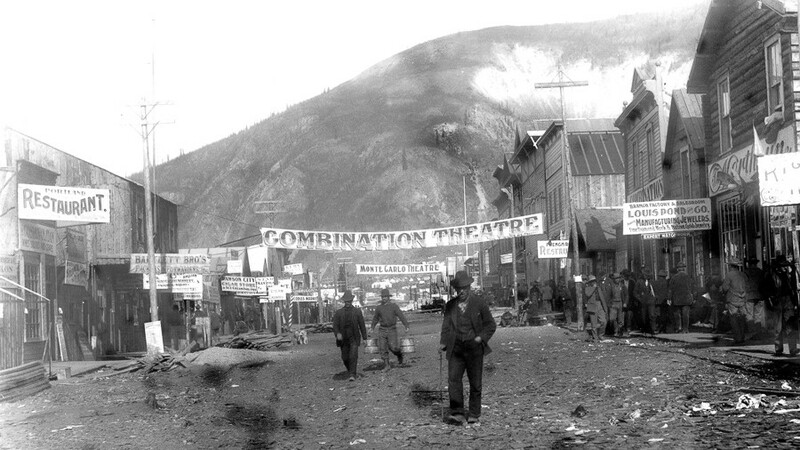 And so thanks to Theatre mogul Sid Grauman, Dawson City became the final destination for film distribution. A multi-purpose building with a swimming pool (that also served as a hockey rink in the winter) was erected and became the center of town, where folks could assemble in the theater and enjoy the very beginnings of filmed entertainment, dating from 1903 to 1929. 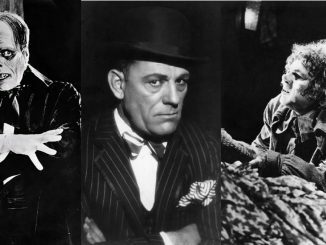 Everything from Charlie Chaplin and Douglas Fairbanks became available to these entertainment starved viewers. But the real treasure of this historic discovery includes home movies shot in and around Dawson City, offering an unusual glimpse into a town and people living on the edge of civilization. 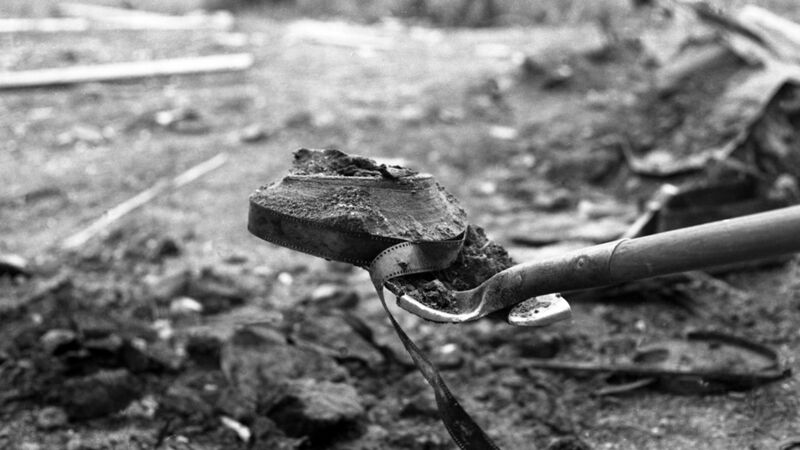 Dawson City: Frozen Time celebrates both the rare and the known, the alien and the familiar. But the genius of director Morrison as well as composer Alex Somers is the combination of storytelling and impressionism that turns the footage into a living roadmap of the town’s archaic struggles. Even more powerful, the filmmakers use a mixture of alchemy and mystery to call forth ghostly images and sounds. As the ravages of time consume the frame, distortion and atonal instrumentation dissolve in and out, as if some type of haunted cloud is chasing the audience down. 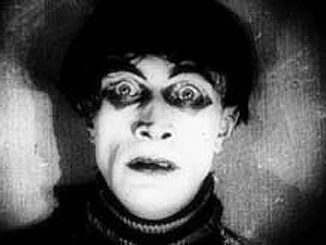 Frozen Time is also a cautionary tale on the dangers and ephemeral beauty of nitrate film. Dawson City, as did most wilderness towns, suffered continually from fires that devastated everything, causing the town to be rebuilt again and again. And more often than not, it was the nitrate reels, stacked haphazardly in the building’s basement, or relocated to City Hall, that caused the fires which destroyed businesses, homes and families. The Swimming Pool, underneath which the films were stored. During the spring thaw, bits of flammable nitrate stock would rise and protrude from the ice. Some of the children would light the film on fire to watch it burst, sizzle and smoke against the frozen rink. For the longest time, film was considered a disposable commodity, and the prints that ended their ride into Dawson City were no exception. The distribution companies had no interest in having their films returned, so the prints were amassed anywhere the townsfolk could keep them. Along with the motion picture reels, exposed photographic glass plates were found within cabin walls. 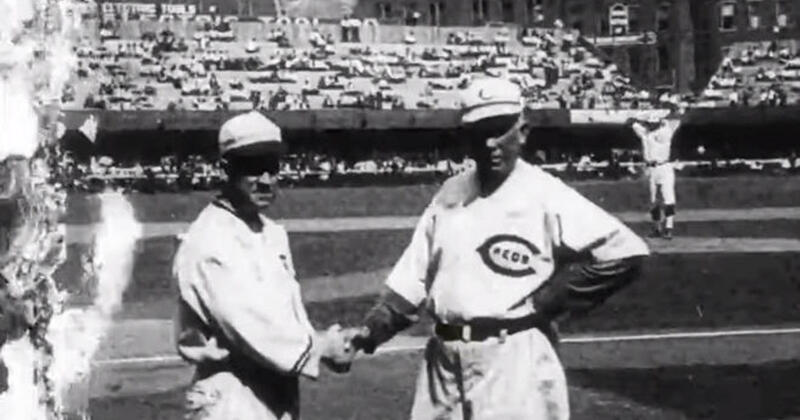 These, along with the damaged footage, become the visuals that tell the town’s story, and include images of a young William Desmond Taylor (the director who would migrate to California and become the nexus for one of the great Hollywood murder mysteries) as well as some of the first ever found footage of the dreaded White Sox 1919 games that resulted in the historic throwing of the World Series. On hand at this TCM Festival Screening was director Morrison himself, who, on his flight to Los Angeles that very day, had signed distribution rights over to Kino Lorber. This guaranteed that Dawson City: Frozen Time would not disappear like the footage it resurrects, but enjoy a future to tell its unique story for countless viewers. 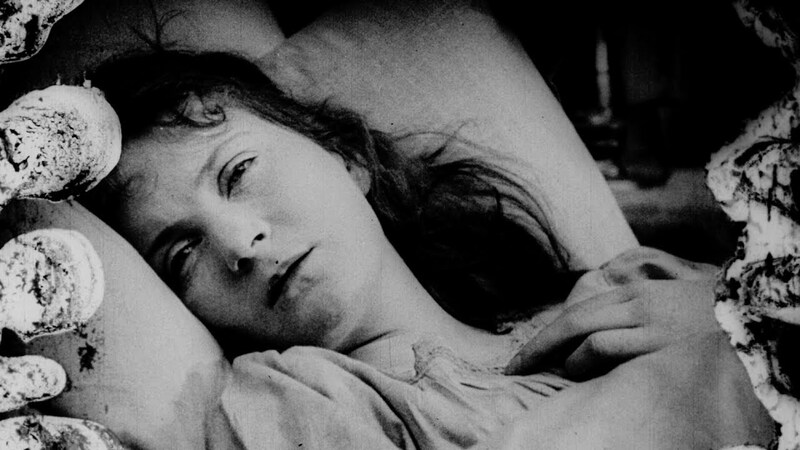 Dawson City is currently in wide theatrical release. And while it will be available for rental, streaming and purchase soon, it should be experienced in a theater. Don’t miss the limited opportunity to enjoy this haunting love letter from the past, just the way Dawson City residents experienced film over 100 years ago – in a communal setting.